This submission comes to us from Southern California. I guess when you run out of room on the inside, you have to go outside. The best part about the pack job, you say? 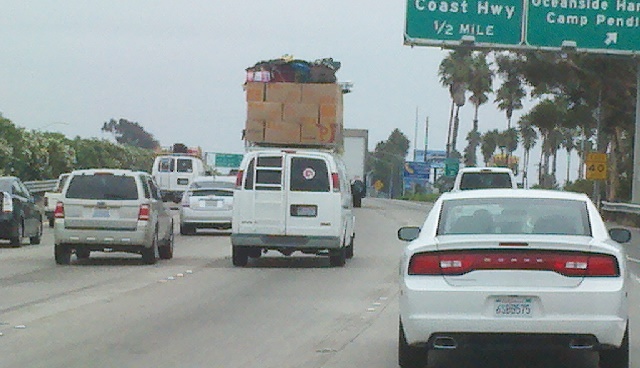 If you look closely, there is some sort of big, heavy-duty ladder on the back and the roof rack appears very strong as well. That leads me to believe this isn’t the first time this guy has done this. 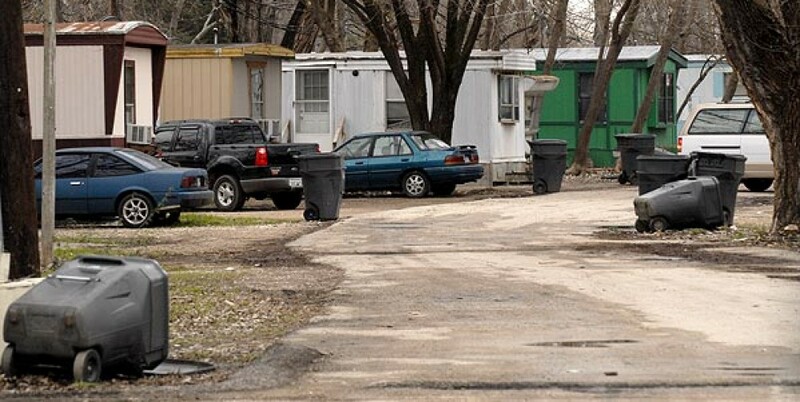 Van Man: Your Laziness/Ignorance/Trailer Park Is Showing! Note: For those of us who don’t watch BBC programing, a “Van Man” is basically a guy for hire with a van to help you move stuff in England.